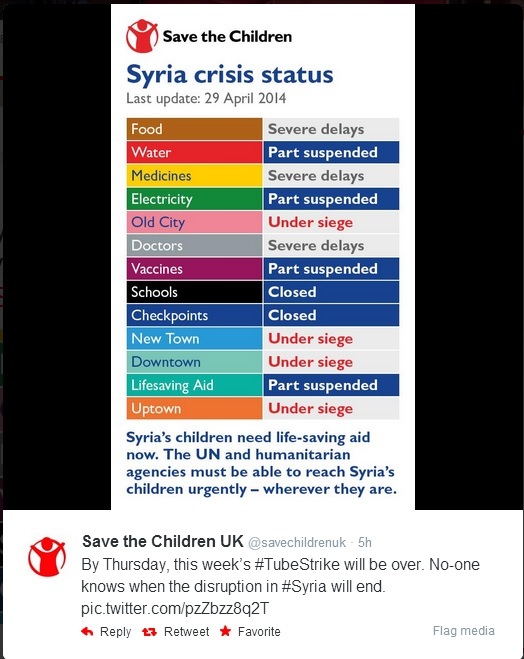 Now, newsjacking has been around for ages and charities have been taking advantage of trending hashtags, or news, in both good and bad ways – mostly good. 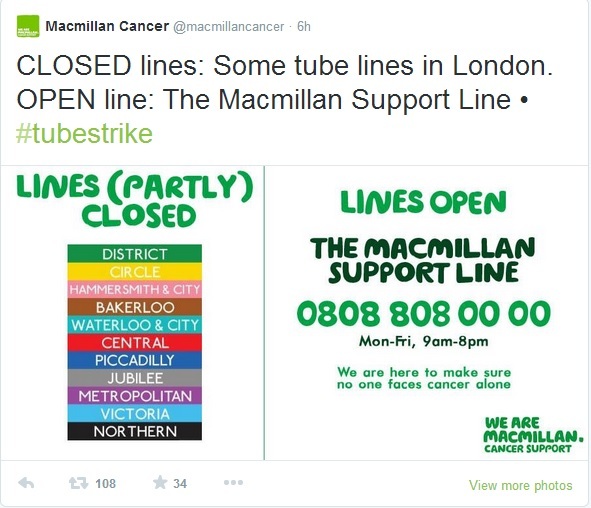 Recently, I’ve noticed one charity that seems to have nailed it. 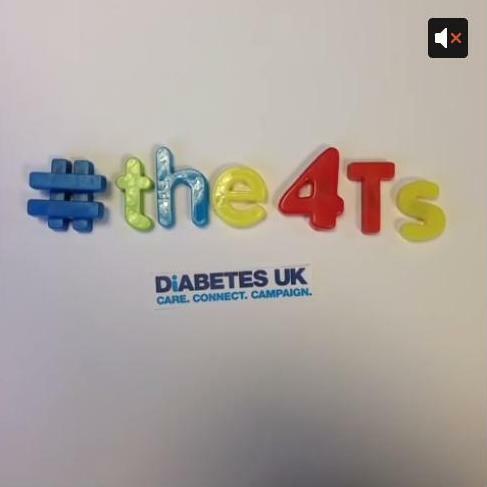 They have clearly thought their key messages through and they are reaping the benefits – their latest one, which focussed on the news story that skinny jeans could be bad for your health (oh dear, Hipsters) had 74 Retweets. Here’s one for National Kissing Day. But best of all? These ones for Game of Thrones. 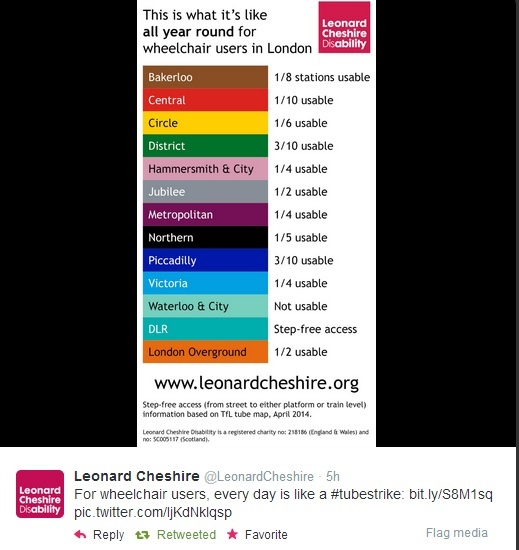 I think these are wonderful examples of how to take advantage of trending hashtags, in a meaningful way. Have you spotted any others? My husband and I share a love of dogs. As we rent our flat, we’re unable to have a dog of our own. Although, even if we did own a property, I’m not sure we could have a dog just yet as we both leave home early in the morning and are not home until around 7pm. One of the first birthday presents I gave my husband was sponsoring a Dogs Trust dog in his name. Every year my husband receives birthday, Christmas and even Valentine’s cards from his sponsor dog, Shane. Then he received this letter. I’m not ashamed to say I cried my eyes out. I’m even tearing up just writing this. Yes we never got to meet Shane but he had been our sponsor dog for years. Pictures of him are on our fridge. He’s the dog we never had. But this post is not about losing Shane, it’s about how Dog’s Trust handled that communication to us. 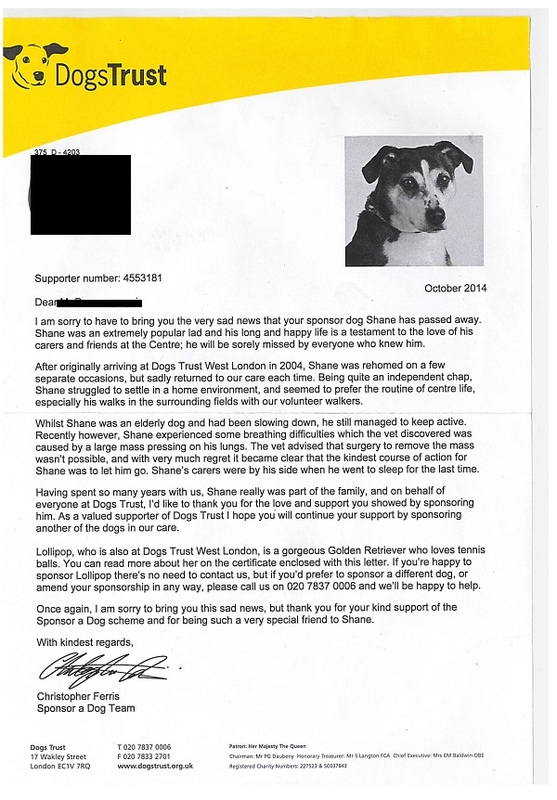 It’s a sad letter but a lovely one too as it talks all about Shane – what kind of dog he was, how he was loved and cared for by the Dogs Trust staff (sadly Shane never found a forever home) and how he would genuinely be missed. And I completely believe every word. Now of course Dogs Trust doesn’t want to lose our monthly donation so they’ve chosen another dog for us to sponsor. They’ve given us the option to choose another dog or amend our sponsorship and have given us a telephone number should we wish to call them. 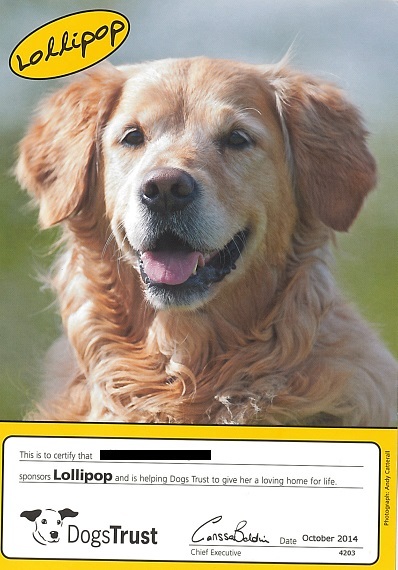 Lollipop will now be our new sponsor dog and we’re looking forward to receiving our first Christmas card from her and supporting her (and other dogs like her) through our continued sponsorship. I believe that charities can, with well written and sensitive communication, turn a sad (or bad) situation in to a positive. This letter is a great example of that.